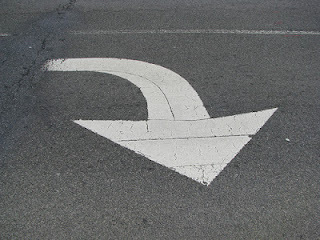 If you've been following LSAT Blog over the past few months, you know that the number of law school applicants and applications has dropped precipitously this cycle compared to previous ones. I've created graphs and provided analysis on what these changes may mean for those who applied this cycle (and, perhaps, future cycles as well). In a further update, LSAC has just put together a few nifty graphs showing the number of law school applicants / applications for this cycle as compared to the previous two admission cycles. 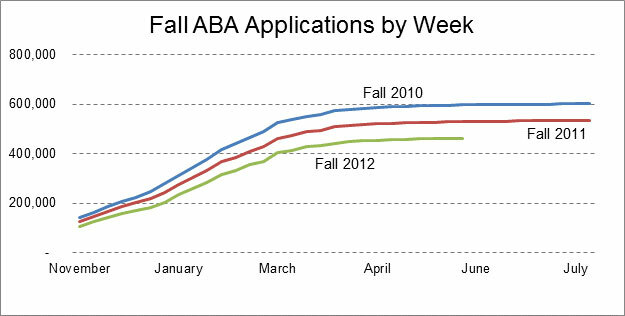 As of 06/01/12, there are 462,825 Fall 2012 applications submitted by 65,119 applicants. Applicants are down 14.4% and applications are down 12.6% from 2011. 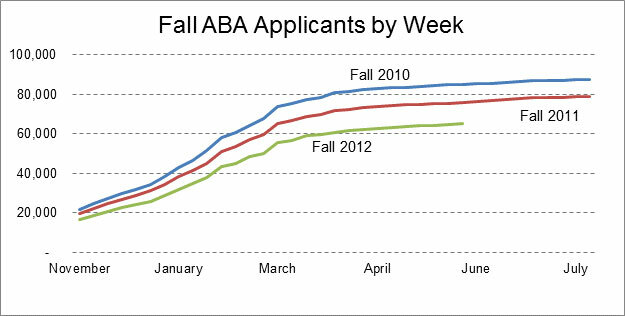 At this late date in the cycle, we can reasonably predict that there will be ~67,113 applicants, and ~467,500 applications, to ABA law schools this cycle. See these blog posts on law school admission trends for further analysis of what this may mean for law schools and law school applicants.